We’d love your help. 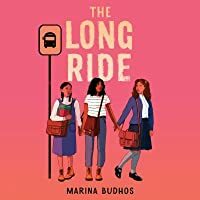 Let us know what’s wrong with this preview of The Long Ride by Marina Tamar Budhos. Jamila Clarke. Josie Rivera. Francesca George. Three mixed-race girls, close friends whose immigrant parents worked hard to settle their families in a neighborhood with the best schools. 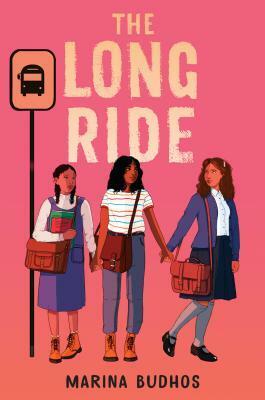 The three girls are outsiders there, but they In the tumult of 1970s New York City, seventh graders are bussed from their neighborhood in Queens to integrate a new school in South Jamaica. To ask other readers questions about The Long Ride, please sign up. A semi interesting novel about school integration and friendship. Set in New York City in 1971, The Long Ride does a good job of portraying the positive and negative effects of school integration to an audience most likely unfamiliar with the concept. Additionally, author Marina Tamar Budhos has accurately captured the changing dynamics many friendships face as tweens become teens and their interests and lifestyles began to veer in different directions.